Practical resources to help you promote the message of Healthwatch Derbyshire on various key topics. These toolkits can be used by stakeholders as well as members of the public. 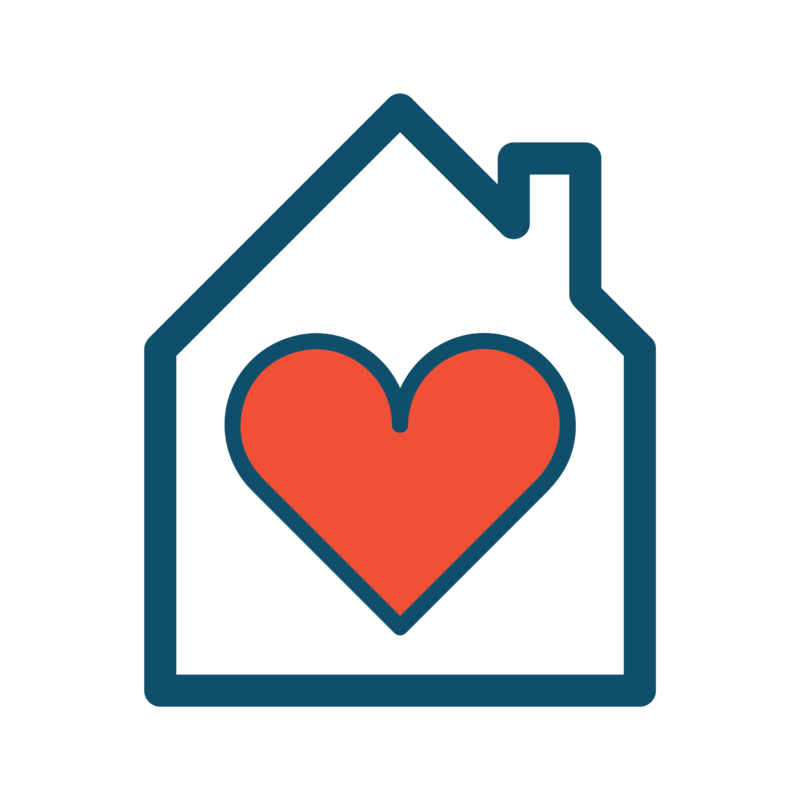 The below resources have been put together to complement the work of Healthwatch Derbyshire in a campaign to get more people to share their experiences, both good and bad, of Derbyshire care homes. The information collated from the campaign will be fed through to service providers and used to help identify examples of good practice, as well as highlighting areas in which improvement is needed. We would really appreciate it if you would be able to help disseminate the messages included the attached documents. There is a portrait JPEG image to be inserted into local newsletters, and text for posts, accompanied by images, to share on social media platforms. 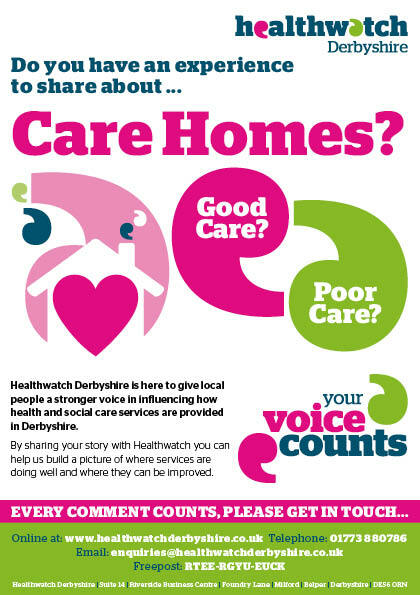 Hard copies of the attached PDF poster, encouraging people to share their views about Derbyshire care homes, are available on request by calling 01773 880786 or emailing our Communications Officer, Lee Mellor, at lee@healthwatchderbyshire.co.uk. It would be really helpful If people are able to notify us of any assistance distributing the hard copy posters, or featuring the advert in any newsletters. 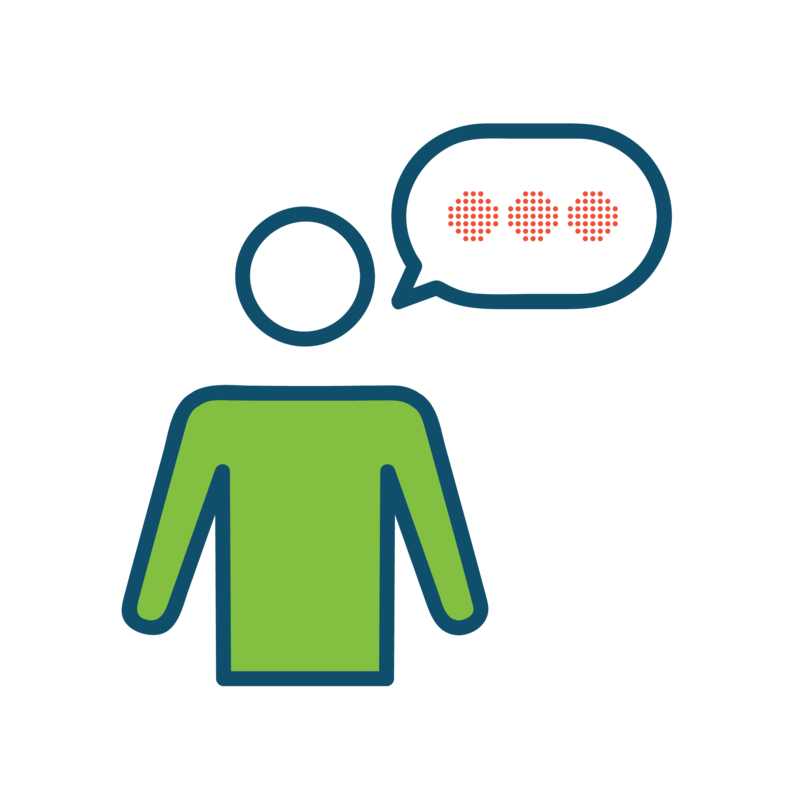 We will automatically receive notifications when people have shared messages on social media. Thank you in advance for any assistance you are able to provide in this campaign.